Search crews in North Carolina have found a body believed to be that of a 6-year-old boy with autism who went missing, authorities said Thursday. 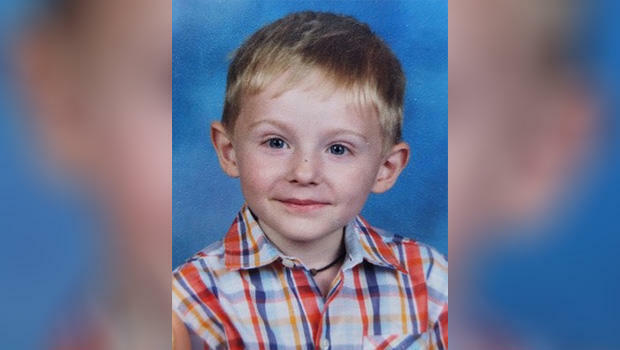 The boy's father said his son, Maddox Ritch, disappeared Saturday as they were walking in Rankin Lake Park. "We believe that we have found Maddox, and I think it's reasonable to say that it's him," FBI supervisory special agent Jason Kaplan said Thursday at a news conference. Police said earlier that the body was found at approximately 1 p.m. and will be identified by the Mecklenburg County Medical Examiner's Office. The body was found in Long Creek in the city of Gastonia, according to authorities. The area is about a mile from where Maddox disappeared. Kaplan said "it is absolutely amazing that he was found." He said it was "extremely difficult" to see him even when searchers were standing next to him. Kaplan said questions that still need to be answered include how and where he entered the creek, how he died, and whether or not a crime was committed. "Our community's heartbroken," said Gastonia Police Chief Robert Helton. "This is not the end that we had hoped for." Ian Ritch said his son ran away from him in the park last Saturday in North Carolina and that he couldn't catch him. Rick Foxx, who works at Rankin Lake Park, made the call. He said he doesn't believe Maddox was ever there. At a news conference Wednesday, Ian Ritch made a desperate plea for anyone with information about his missing son to come forward. Ian posted Thursday night on Facebook writing, "I want to thank u from the bottom of my heart to everyone who took part in searching for my sweet lil buddy. I truly appreciate everything everyone did to find him ... Maddox was my only child and he will the only one I will ever have." CBS affiliate WBTV reports that the case has hit the local community hard. People have gotten involved in an effort to help, watching press conferences and checking around their homes and businesses for Maddox.